Although she produced only a small body of work during her lifetime and was relatively unknown in English-speaking countries until after her death, Maria Luisa Bombal is credited with changing the style, tone, and substance of Hispanic literature. Her avant-garde works—considered early examples of feminist writing—deviated from the exaggeratedly masculine trends that dominated South American fiction. Composed in reaction to the confines of her society, Bombal’s writing centers on women who escape their lonely, boring, and unfulfilled existences through fantasy. Living the Boom. Maria Luisa Bombal was born in Vina del Mar, Chile, on June 8, 1910. Her father was an Argentine of French origin, and her mother was of German descent. In 1923, after the death of her father, Bombal journeyed to Paris with her mother and two sisters and spent her adolescent years there. She adopted French as her own tongue and wrote her first literary pieces in that language. Bombal graduated from the University of the Sorbonne in Paris with a thesis on the nineteenth-century French writer Merimee. She also studied dramatic art and participated in several theatrical groups, both in France and in Chile. During these formative years spent in Paris, the literary and artistic movement of surrealism was in fashion, and a strong surrealist tendency can be seen in her novels and short stories. 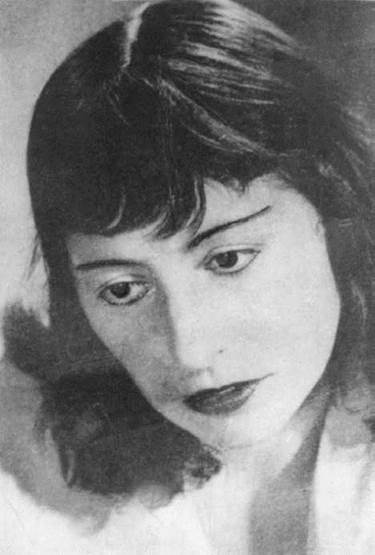 In 1931, Bombal returned to her native Chile but soon left in 1933 to live in Buenos Aires, Argentina, where she became a member of the thriving literary group often nicknamed ‘‘The Boom,’’ which included Jorge Luis Borges and Victoria ocampo, publisher of the famous magazine Sur. Bombal worked for the journal, which published her two novels and short stories. At that time she shared an apartment with poet Pablo Neruda and his wife, composing her first fiction at their kitchen table. At the time, Neruda, the Chilean poet who became a Nobel Prize winner, was the Chilean consul in the Argentine capital. Inspired by him, Bombal finished her first novella, The Final Mist, which met with critical acclaim in 1935. In 1938, her novella The Shrouded Woman appeared. That same year she married an Argentine painter, but the marriage broke up two years later. To America. In 1941, Bombal took a brief trip to the United States where she met such important writers as William Faulkner and Sherwood Anderson. Back in Buenos Aires, she published her stories ‘‘The Tree’’ and ‘‘The New Islands.’’ Later that same year, Bombal moved back to Chile, where she shot and seriously wounded Eulogio Sanchez Errazuriz, her anti-Communist lover. She was jailed and, upon Errazuriz’s recovery, banished from Chile. Bombal then immigrated to the United States. Unlike many other Latin American authors of the time, including Borges and Neruda, Bombal avoided much of the political turmoil in Argentina and Chile due to her move to the United States. In 1946, the military-led government of Argentina came under the control of Juan Peron, a leader beloved by many lower-class Argentineans but viewed as an anti-intellectual dictator by those skeptical of his policies. This Latin American turmoil continued throughout Bombal’s life, with military dictator Augusto Pinochet taking control of the Chilean government in 1973 and remaining in power until 1990 despite many charges of human-rights abuses against him. During the thirty-year span Bombal lived in New York, the only works she published were English translations she wrote herself of her books The Final Mist (revised and published as The House of Mist in 1947) and The Shrouded Woman. She added so much additional explanatory material to the original of The Final Mist that it unfortunately lost much of its power and fascination. Finally, in ill health, Bombal returned to spend her last few years in Chile, where she died in Santiago on May 6, 1980. During most of her life, Bombal did not achieve significant fame, although in her last years the Chilean government granted her a stipend. With the keen interest in the feminist movement in later years, her works were read and commented on more widely. Salvador Dali (1904-1989): This Spanish painter was responsible for much of the surrealist movement in Europe and abroad. Eudora Welty (1909-2001): American author noted for her fiction about the American South. Augusto Pinochet (1915-2006): Controversial president of Chile from 1974 to 1990, known for his human rights abuses and also for his bringing order and economic stability to Chile. Gunter Grass (1927-): A 1999 Nobel Prize winner, Grass is a German writer whose first novel, The Tin Drum (1959) leads readers through the events of the World War II and postwar years through a distorted and exaggerated perspective. Bombal was one of the first Latin American novelists to break away from the realist tradition in fiction and to write in a highly individual and personal style, stressing irrational and subconscious themes. During the 1930s when most of her fellow writers were turning out works emphasizing social conflict, Bombal turned inward for her inspiration and produced several works of remarkable artistic quality. She incorporated the secret inner world of her women protagonists into the mainstream of her novels. She accomplished this in a prose charged with poetic vibration and filled with a sense of imminent tragedy, a melancholy atmosphere in which the factors of time and death play somber roles. Escape. Women in Bombd’s stories seem to be embarked on a permanent, and often fruitless, quest for love and companionship. These troubled, alienated women are driven to seek refuge in a universe of dreams or fairy tales that eventually becomes more real, more immediate, and infinitely more tolerable than their objective, physical world. Fantasy mingles with reality, until neither the protagonist nor the reader is sure which is which. Equally at ease with a first-person or third-person narrative, Bombal’s prose is intensely poetic and musical. In fact, music plays an important part throughout her writing (though nowhere as clearly as in ‘‘The Tree’’). Her narrative concentrates on one essential theme that she explores with sensitivity and honesty, the limitations imposed on women—as much by women themselves as by the men who control their lives. Bombal was very concerned about women's rights and how women make their way and find their identity in patriarchal societies. Here are a few other works that explore this theme. As I Lay Dying (1930), by William Faulkner. This disastrous and darkly comic tale chronicles the death of Addie Bundren and the subsequent journey to bury her corpse in her family's cemetery several miles away. To the Lighthouse (1927), by Virginia Woolf. This observational novel shows the limitations of purely masculine and purely feminine qualities and presents a vision of uniting the two through art. Play It as It Lays (1970), by Joan Didion. Protagonist Maria Wyeth is a failed actress trying to scrape her life back together in the California desert. Thelma and Louise (1991), directed by Ridley Scott. Two women desperately try to outrun the law after a violent incident in a parking lot. Bombal offers many interpretative challenges to her readers and critics, not least because she is one of the few authors who has rewritten their own novels in another language. Critics largely agree that Bombal’s literary output, though not great in quantity, is of the highest quality. Bombal is commonly credited with having introduced a new, feminist sensibility to Chilean literature. There are Chilean elements in her works, but her depiction of characters and their conflicts transcends the local and national, becoming a universal comment on the situation of humanity, not a set of observations rooted in any particular society or age. New Islands, and Other Stories. Bombal’s Englishspeaking audience expanded after her death with the release of New Islands, and Other Stories in 1982. The entire collection is inundated with the author’s preoccupation with the powers of the imagination. One story, ‘‘The Unknown,’’ is about a pirate ship lost in a whirlpool at the bottom of the sea. One of her most popular stories, ‘‘The Tree,’’ chronicles a woman’s growing alienation from her husband. As observed by Ronald De Feo in the New York Times Book Review, the closing lines capture Bombal’s basic philosophy: ‘‘It may be that true happiness lies in the conviction that one has irremediably lost happiness. It is only then that we can begin to live without hope or fear, able finally to enjoy all the small pleasures, which are the most lasting.’’ New Islands was well received in the United States. Reviewers were particularly impressed by Bombal’s ability to elicit empathy in her readers. 1. Examine the male characters in a few of Bombal’s works. Can you fault them entirely for the suppression of the female characters? Why or why not? 2. Compare and contrast one of Bombal’s short stories with one of Pablo Neruda’s poems. What similarities do you find that might help you understand Chilean literature and culture? 3. Much of Bombal’s work examines how women react to the social and emotional constraints of their lives. Many women writers of past generations have treated this theme, including Kate Chopin (The Awakening, 1899) and Charlotte Perkins Gilman (‘‘The Yellow Wallpaper,’’ 1892). Do you think women today feel the same kinds of constraints experienced by Bombal’s protagonists? Or have times changed sufficiently so that women are now ‘‘free’’ from old limitations? Adams, Ian. Three Authors of Alienation: Bombal, Onetti, and Carpentier. Austin: University of Texas Press, 1975. Dictionary of Hispanic Biography. Detroit: Gale, 1996. Kostopulos-Cooperman, Celeste. The Lyrical Vision of Maria Luisa Bombal. London: Tamesis Books, 1988. Reference Guide to Short Fiction. Detroit: St. James Press, 1994. Brace, Marjorie. Saturday Review (May 1, 1950). De Feo, Ronald, and Richard Sullivan. New York Times Book Review (July 1, 1979; October 30, 1988). Gomez-Sacre, Jose. Americas (February 1981; January-February 1966).